Singapore is a tiny country, but it packs a big punch. The city-state is a major financial hub with a large number of multinational corporations maintaining a regional office here. So it’s no surprise that Singapore is a diverse city. Although most of its population is Chinese, the country also has a large Malay and Indian population, as well as many European, American and Australian expats and temporary residents. 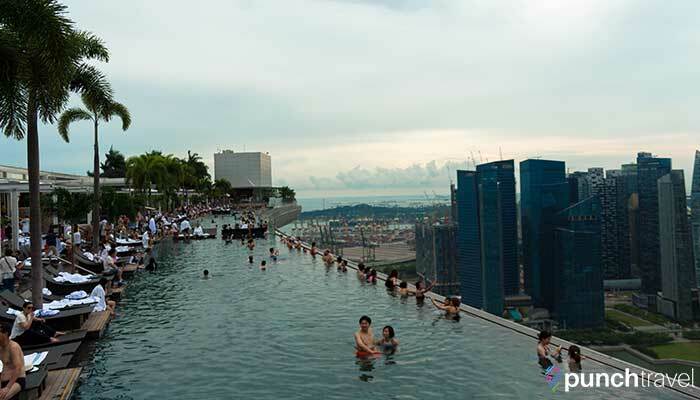 Despite its strict and sometimes unconventional laws (like fines against not flushing the toilet), Singapore is still a popular place to visit. The country has invested heavily in tourism, with Gardens by the Bay, Marina Bay Sands and the Singapore Flyer drawing over 15 million visitors to Singapore last year. Singapore even has its own resort island, Sentosa, which contains the S.E.A. Aquarium, Adventure Cove Waterpark, Madame Tussaud’s, Universal Studios and much more. Singapore offers many attractions to accommodate any traveler. If you’re looking for where to go in Singapore, follow our guide below to find the best places to visit. For how to do Singapore on the cheap, read 7 Free Things to Do in Singapore. 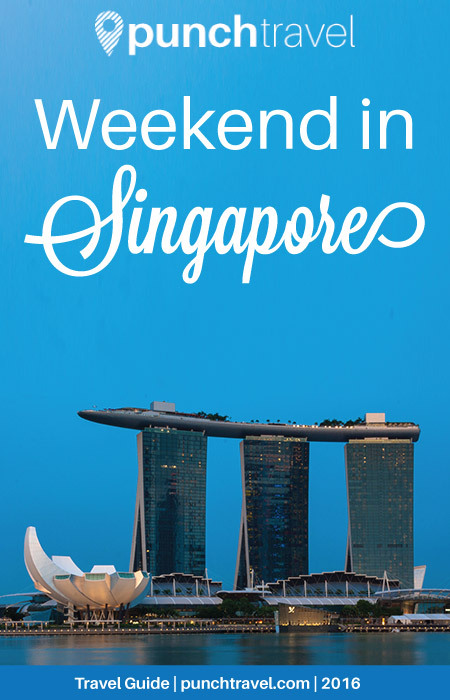 Start your weekend in Singapore by heading to its most iconic area, the marina. Surrounding the marina are several of its most eye-catching buildings and attractions. 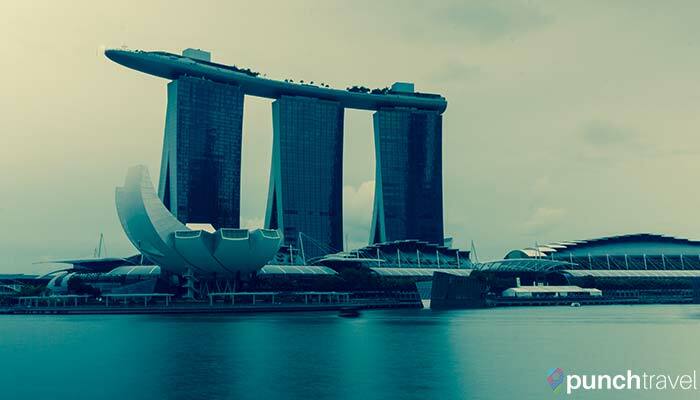 The Marina Bay Sands is a hotel and casino with a “ship” perched atop its three towers. In addition to the luxurious rooms, the hotel is an entertainment paradise. The massive space includes celebrity restaurants, bars, a hawker food center, casino, theater, luxury shops, indoor canal, skating rink, and more – whew! The top of the hotel features a stunning infinity pool and lounge area. Though access is limited to hotel guests only (and it is heavily guarded, so don’t even try), you can still get a view from the top without paying for a room. Simply head to the Flight Bar and Lounge on the 57th floor. Entrance is free before 6pm and there is no drink minimum. After 6pm, a cover charge is imposed. Or check out CÉ LA VI Restaurant, which provides wraparound views of the marina. Head back down to the Events Plaza on the Promenade to catch Wonder Full. The show combines lights, fountains and laser effects set to music in front of Marina Bay Sands. The show runs daily at 8:00 and 9:30pm, with an additional 11:00pm show on Fridays and Saturdays. An UNESCO World Heritage Site, the Singapore Botanic Gardens is also the world’s first tropical garden to get the designation. Established in 1859 when Singapore was still a British colony, the garden has its roots from Kew Gardens in England. It was Kew Gardens who sent over the first rubber seedlings which eventually established Singapore Botanic Gardens as a pivotal player in Malaysia’s rubber cultivation. The lush park covers 183 acres and contains the National Orchid Gardens, 47 heritage trees, and is a popular performing arts space. 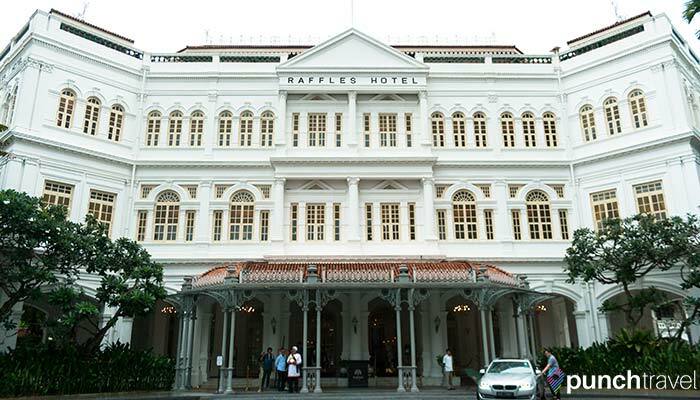 After walking through the gardens, head to the famous Raffles Hotel for lunch at Long Bar, where Singapore’s signature cocktail, the Singapore Sling was created. The fruity drink was created in 1915 by a bartender to provide women with an alcoholic beverage disguised as fruit juice. The drink today costs a whopping 31 SGD, but they serve other drinks that are less damaging to the wallet. A classic pub fare menu includes fish and chips, nachos and burgers. 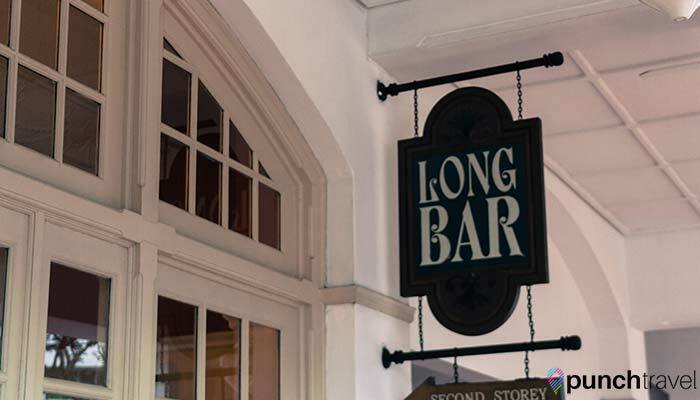 Long Bar is also one of the few places in Singapore where it is permitted to litter! In keeping up with tradition, guests can toss peanut shells on the floor. 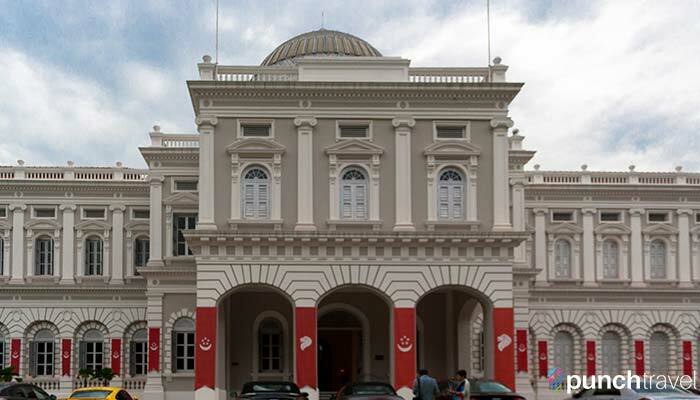 Immerse yourself in Singapore’s history and culture at the National Museum of Singapore. Though it is a fairly young country, having only gained independence in 1965, its origins as a British trading colony and its close ties to Malaysia make it a unique and diverse place. The museum is organized into several permanent and temporary exhibits. On the main floor, the Singapore History Gallery contains a narrative that charts the development of the island. The exhibit begins with the country’s origins as Temasek, to its time under British rule, to the time of Japanese occupation, and finally to its current incarnation as modern Singapore. The second floor exhibits continue the story of Singapore through the lens of its cultural development as a young nation. The Modern Colony gallery examines the aristocratic lifestyles of Singaporeans during the country’s time as a British Crown colony in the late 1920s to 1930s. 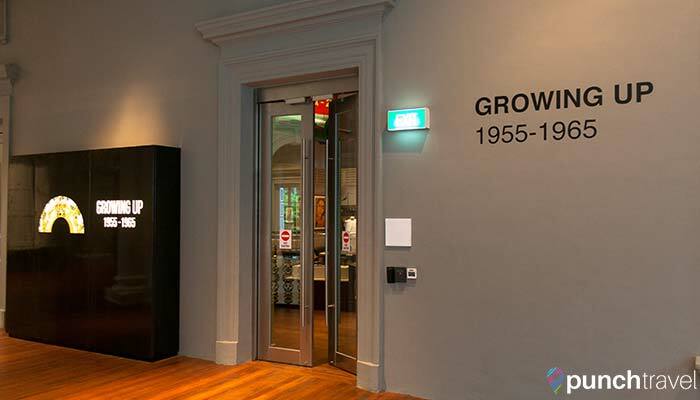 Across the hall, the Growing Up gallery displays the societal changes in the 1950s and 1960s through education, entertainment, and daily life. Don’t miss the poignant exhibit on living through the Japanese Occupation. The stories of how people dealt with this period with resilience and resourcefulness paint a picture of what life was like during this time. 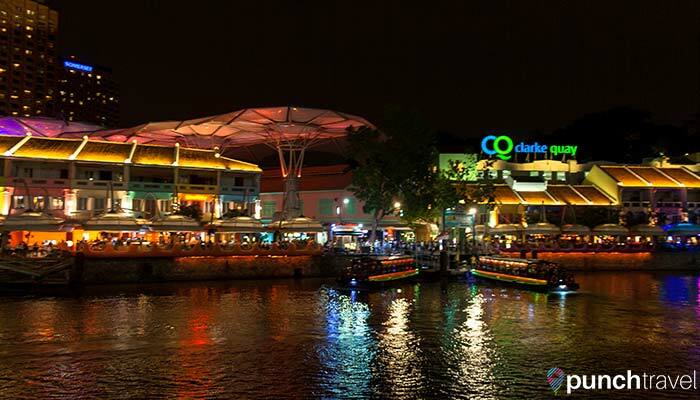 Clarke Quay is where young Singaporeans and expats come out to play. Situated along the banks of the Singapore River, river boats cruise by dropping visitors off along its banks to eat, drink and party. All along the Clarke Quay commercial center, restaurants and bars lure visitors in with drink specials. Here you’ll find several familiar outposts, like Privé, Hooters, and our Brooklyn fave – Motorino. If you don’t mind the wait, get in line for the Spicy Miso Lobster Broth Ramen at the popular Ramen Keisuke Lobster King. 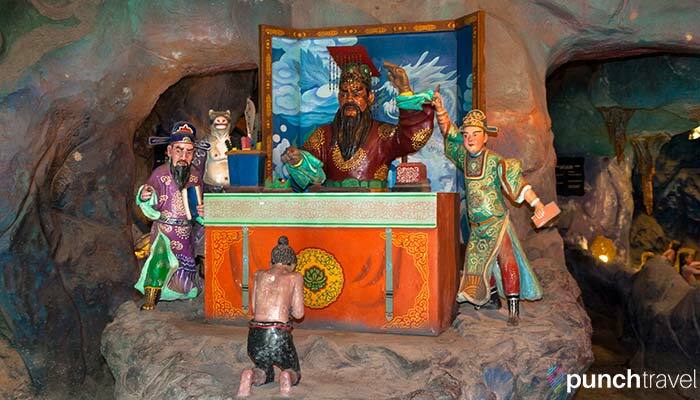 A bit off the beaten path but worth it, Haw Par Villa, is the outdoor sculpture theme park dedicated to Chinese mythology, folklore and legends. Also known as Tiger Balm Gardens, it was built in 1937 by the creators of Tiger Balm, the herbal heat rub as a place to teach Chinese values. The park contains over 1,000 statues and scenes of different Chinese legends and folklore. Colorful, large-scale dioramas present different scenes of moral lessons and idioms. The most well-known perhaps, is the Ten Courts of Hell, which illustrates the Buddhist notions of the afterlife. Walk through the darkly lit caves and brace yourself for graphic depictions of the punishments you’ll face as a result of your offenses in life. End on a more positive note by taking a stroll through the park and relaxing by the koi and turtle pond. Feed the fish and take a break amid the pagodas and bridges. 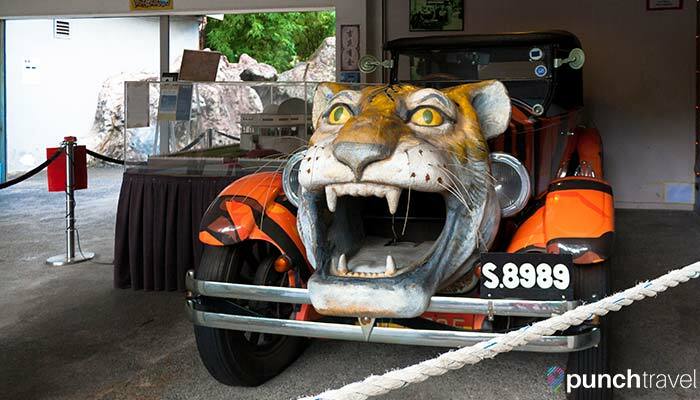 Check out our post, Haw Par Villa: The Weirdest Place in Singapore, for more photos from Haw Par Villa. 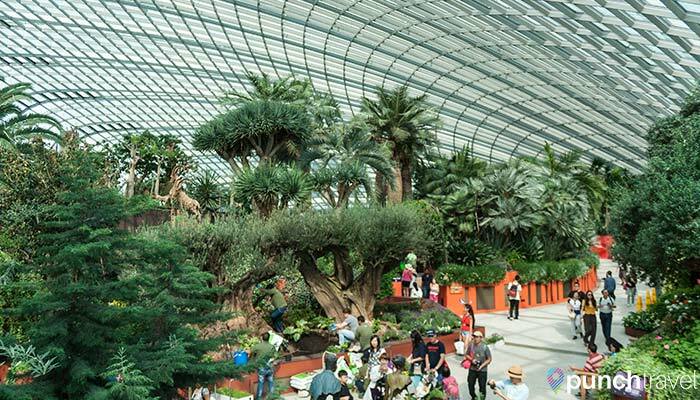 Gardens by the Bay is Singapore’s sprawling garden oasis in the heart of the city. Over 200 acres of trees, flowers and plants provide a playground to explore nature. The park sits along the marina looking into the Singapore Strait on one side, and the formidable Marina Bay Sands on the other. 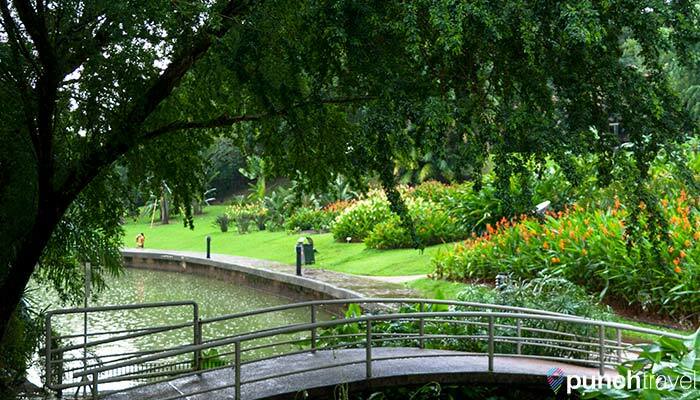 Circling the park are the Heritage Gardens, dedicated to flora and fauna inspired by Singapore’s main ethnic groups. The notable Supertrees in the center of the park house dramatic vertical plant displays. Every evening, the structures come to life with an exhilarating light and sound show. The main attractions are the two cooled conservatory biodomes. The Flower Dome showcases unique flowers and plants from around the world. The Cloud Forest recreates the unique ecosystem of the highlands region. An added bonus is that they are air-conditioned!